The Sorrento Peninsula is full of nature, traditions, events and is a tourist destination 365 days a year. The best way to see it is a leisurely walk among the streets in the historical centers, among alleys filled with local shops, maybe stopping to taste a glass of limoncello or sitting down on a bench overlooking the Sorrento sea. And then, visit the Marinella di Sant’Agnello with its spectacular landscape, the sandy beach in Meta, the Villa Comunale in Piano di Sorrento, the food festivals and the thermal beaches in Vico Equense, Faito Mountain, the restaurants specialized in seafood recipes in Massa Lubrense, the natural scenery in Sant’Agata and Nerano, maybe taking a boat trip… in other words, the Sorrento Coast offers attractions for anyone all year round. 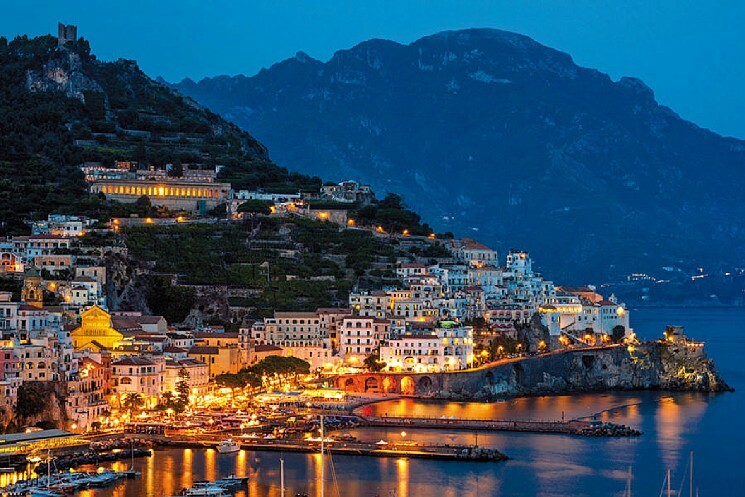 The Amalfi Coast is a magical land, made of lush gardens, clear sea and small villages perched on rock. Each town on the Amalfi Coast has its own peculiarities and personality: Positano is famous all over the world for its fashion and architectural style. It is often called ‘the vertical town’ as its building are one close to the other creating a labyrinth of alleys where it is a pleasure to get lost among colors and scents. Amalfi, the other important centre, has ancient origins; in fact it was one of the Maritime Republics, an important sea port in ancient Italy. Other ‘pearls’ of the coast are Ravello and Praiano. It is not a coincidence that they were destinations for artists and scholars at the time of the Grand Tour.